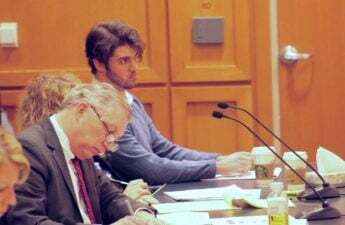 The case has brought a great deal of attention to the handling of sexual assault and harassment on the UW campus, as later charges revealed there had been previous complaints made against Cook to the UW Police Department as early as spring 2016. Cook’s legal defense team — comprised of “trial attorney” Christopher Van Wagner and Jessa Nicholson — have made it their mission to clear up the “media firestorm” surrounding the case, and their persistence to give their client a fair trial has resulted in a change of venue and an omission of key evidence against Cook. Moreover, the 23 charges have been broken up into seven separate trials, with the first scheduled for Feb. 26. The trial comes at a time where movements like #MeToo and #TimesUp have dominated conversations surrounding how to combat sexual assault and harassment in a variety of industries. But, some have their reservations as to whether justice will actually prevail when sexual assault cases like Brock Turner’s, and most recently two former UW students’ Nicholas Ralston and Nathan Friar, have, resulted in nothing less than a slap on the wrist. The Cook case is poised to be one of the most significant sexual assault cases in the wake of the #MeToo and #TimesUp movement, as the outcomes has the potential to shape how campuses deal with perpetrators of sexual assault. 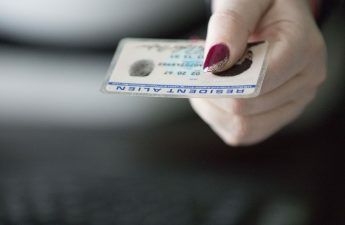 The University of Wisconsin announced that all students living in university housing will be required to deposit a minimum of $1,400 on their Wiscard come fall 2018. If funds are not used during the school year the money will be forfeited, director of Dining and Culinary services Peter Testory, said. 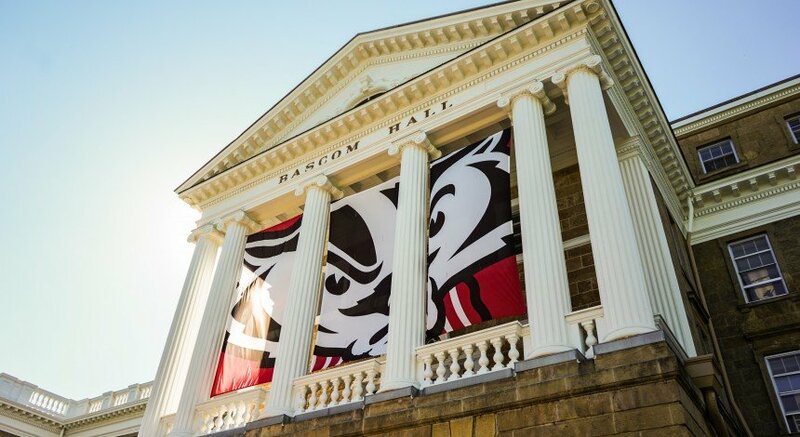 Although Testory said the new policy will allow students and families to budget spending and allow financial aid to pay for food costs, the decision faced backlash from Associated Students of Madison, students, staff and alumni. According to a press release from ASM, the dining plan places restrictions on students with certain dietary needs, including students who follow religious observations. Dining halls carry a small amount of food items to accommodate these student, but will never be able to fully meet the needs of students on a kosher or halal diet, a letter to the editor at The Badger Herald said. A petition was created on Dec. 4 to revoke the policy. UW sophomore Rena Newman and alumna Brooke Evans created the petition, which as of Dec. 15 has more than 3,500 signatures. 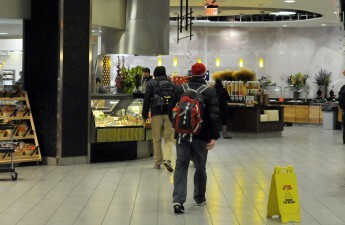 “Due to prohibitive pricing, few low-income students are able to frequent the dining halls,” the petition said. As the petition continues to receive more signatures and the dining halls face criticism from ASM, students and faculty, readers should be aware of the possible changes coming to university housing and dining. 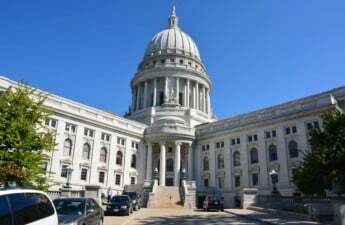 On the floor of the Assembly this month, Wisconsin lawmakers, officers and staff will begin the first round of participating in anti- sexual harassment and ethics training. Fortunately, at least Wisconsin is not falling behind, keeping in stride with a nation sharply focused on – at long last – hearing and validating the voices of sexual assault victims demanding that powerful men be held accountable for inexcusable behavior. A bill requiring three hours of sexual harassment training every two years deserves no acclaim, certainly not in a predominantly male Legislature. That should be absolute, skin-and-bones bare minimum. It’s highly unlikely a policy this weak and passive would have compelled Rep. Josh Zepnick, D-Milwaukee to think twice before drunkenly harassing two women. If it isn’t clear, we have a system that not only permits but seems to actively encourage, the harrasment of women as a necessary cost for the political and fiscal gain of men. Inserting this sort of lightweight training is not an adequate response to a problem of such intense, violent magnitude and suggests Wisconsin lawmakers view this as a temporary and solvable glitch in an otherwise functional instruction. That is not the case. This is going to require structural and intersectional rebuilding. And the time is up on viewing three hours of teaching old, white men about consent as a “good first step.” Write law protecting domestic workers, the homeless, domestic violence victims. Fire abusers. Elect women. That’s worthy of acclaim. The 2018 gubernatorial election is coming up this year, and the race is heating up. No clear front runners have emerged from the crowded Democratic field vying to take down incumbent Gov. Scott Walker. Currently, 18 Democrats had formally announced their candidacy. Amongst these are Wisconsin State Schools Superintendent Tony Evers, former chair of the Democratic Party of Wisconsin Matt Flynn, Madison Mayor Madison Paul Soglin and State Sen. Kathleen Vinehout, D – Alma. Numerous media outlets had predicted that Scott Walker will win over a generic Democratic candidate. But, in a Jan. 16 special election, Democrats picked up a seat in the traditionally Republican 10th District. President Donald Trump claimed this district by a margin of 17 points in 2016, but Democrat Patty Schachtner secured the Senate seat by a comfortable 11 point margin. This win for Democrats is part of nationwide trend of seats flipping from red to blue since Trump’s November 2016 victory. As the GOP stronghold loosens, Wisconsin Democrats have gotten a boost of confidence. As Wisconsin residents lose faith in Walker’s Foxconn plan and his unwavering support for Trump, the Republican party could lose some voters to a more centrist candidate. Democrats have the chance to pull out the win if they can agree on a more moderate candidate who could appeal to centrist Republicans. But, if they choose to support someone too far left-leaning, that could scare off Republican voters who will hand the win to Walker. Keep an eye on Walker’s approval rating, as well as the fundraising efforts on each side. Walker currently has about four times as much money as all the Democratic candidates combined, but expect money to come pouring in from out-of-state donors following the Democratic primary in August. Gill v. Whitford, a case that focuses on a Wisconsin legislative map drawn in 2010 by Wisconsin’s republican leadership, was argued before the Supreme Court on Oct. 17, 2017. The map allowed the party to occupy a majority of senate and assembly seats regardless of the will of the voters. The redistricting plan was introduced in July 2011 and was quickly passed by the senate and assembly. It was signed into law by former Gov. Jim Doyle in August 2011. Even before the law was enacted, it faced legal challenges on statutory and constitutional grounds. 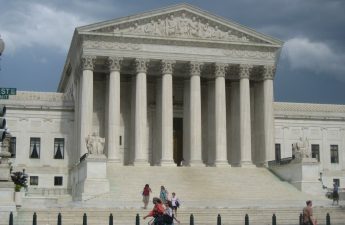 The federal court ruled that the plan did not violate the Equal Protection Clause nor the “one person, one vote” principle. The plaintiffs of the case argued the plan to be an unconstitutional gerrymander. The decision is still pending, hopefully to be announced by the end of June 2018. If the court rules the map unconstitutional, redistricting efforts in other states will be forced to become cleaner and more bipartisan in order to minimize the risk of being unconstitutional. Ruling the map constitutional would encourage parties redraw districts to their advantage, undermining the principle of representative democracy. Any developments between now until the official ruling are crucial, so keep an eye out. Gov. Scott Walker announced on January 4 an $80 million plan to reform the Lincoln Hills-Copper Lake juvenile prisons into medium-security adult prisons, subsequently opening five smaller youth prisons across Wisconsin, per the Associated Press. In addition to this reform, the plan will also include an expanded mental health facility for female inmates to be built in Madison. 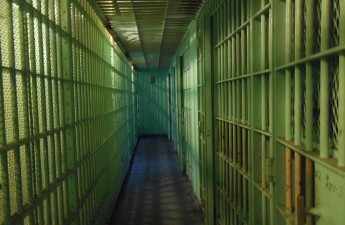 The plan wouldn’t require any actual inmate movement until sometime next year, and the plan wouldn’t go into effect until after Wisconsin voters head to the polls to potentially elect a new governor. All in all, this bipartisan plan is pricey, but will ideally resolve the abusive atrocities that have been taking place at Lincoln Hills for years now, prompting an F.B.I. 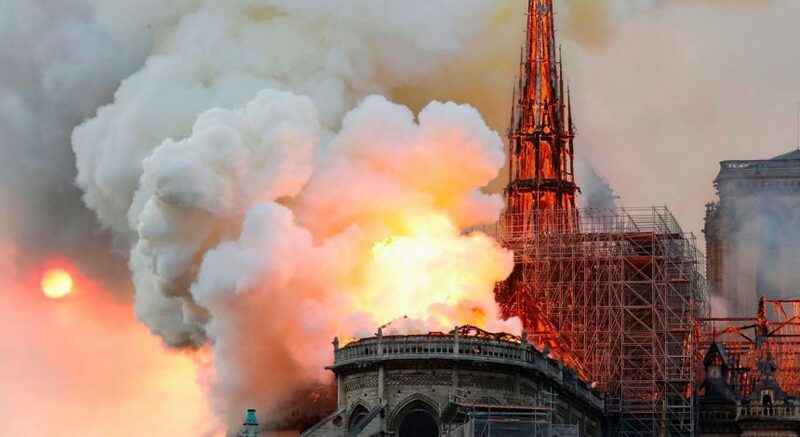 investigation over the past three. Per the Washington Post, Walker’s spokesperson Tom Evenson emphasized the governor wants to usher in the reform in a “thoughtful and purposeful way,” but reiterated that Walker would be open to move the legislation forward more quickly if the opportunity presented itself. This sweeping criminal justice reform is a solid effort by Walker to address an issue on which he’s remained more or less silent on in the past. The timing of the legislation, however, is slightly fishy, as it’s apparent the legislation is a ditch effort to garner support moving into the governor’s election this fall. Keep an eye on this story’s development as we move through the semester, as its success or failure could have a big impact on Walker’s chances of reelection this fall. Madison has long been known as a liberal bastion in a conservative state, and no where does this issue become clearer than on the status of Madison as a “sanctuary” city. 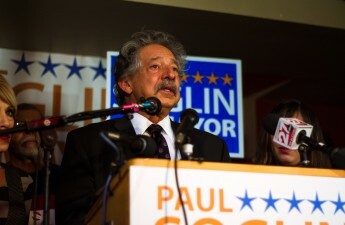 Mayor Paul Soglin reaffirmed Madison’s position as a sanctuary city, and asserts Madison will “stand for justice”. Standing for justice, and maintaining their status as a sanctuary city, may prove challenging in 2018 after the passage of a controversial state senate bill regarding illegal aliens and state compliance with the Immigrant and Customers Enforcement (ICE). The bills stated goal is “prohibiting local ordinances, resolutions, and policies that prohibit the enforcement of federal or state law relating to illegal aliens or immigration status”. Critics of the bill argue that it would “sow fear among Wisconsin’s immigrant population and impede police cooperation with them”. Senator Nass, one of the senators who introduced the bill, responded that the bill is only aimed at apprehending “the criminal element” of the illegal immigrant community. Whether that actually is the case in reality remains to be seen. The bill could face some legal hurdles in the courts system. A similar law enacted in Texas was blocked by a federal judge, and he declared certain provisions in the bill unconstitutional. Wisconsin sheriffs have argued that certain provisions of the bill would force them “to detain people unconstitutionally”. The bill, like seemingly everything in this political climate, has support on only one side of the aisle, but this may not be enough for it to pass. Whether the bill makes it through the court system in its current iteration will be an important story to watch throughout 2018.